Its turning into that time of year when I tend to start feeling overwhelmed. We have a huge summer coming up with vba, summer camp and three mission trips - all of which we are so excited about (PS - we are going to Panama!). We also have various events leading up to the summer that we are in the midst of planning and working out final details. Friday night I'm hosting a girls night for our high school girls and we are making shoes for Sole Hope. I can't wait to share about it! We also have a Middle School Dinner Theatre this weekend and our big Senior Salute Celebration is on the horizon. So, lots and lots of plans ahead for our us personally. Also in the meantime we are attempting to complete our patio project as well as some others things. And! Coming up next week I'm part of a fun Handmade Mother's Day series hosted by Kelly. So excited! Ok, now that you are all caught up on my life (you're welcome for that) let me rewind a bit and share about a recent student ministry missions week we did during Spring Break. 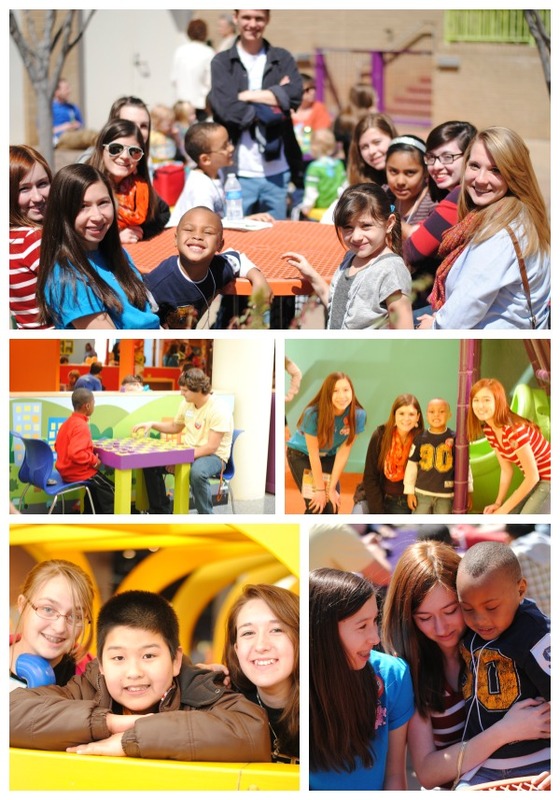 So during our students' spring break this year we decided to host a missions week doing projects here in our own city. Our week consisted of a vbs for a local community, packaging food for our town's crisis ministry, sponsoring children and taking them to a fun museum and working at our local food bank. We do a lot of events, retreats and things with our students but this was one of my favorites. Ok, here comes a big photo dump. We had such a sweet time hanging out with the kids we had for vbs. 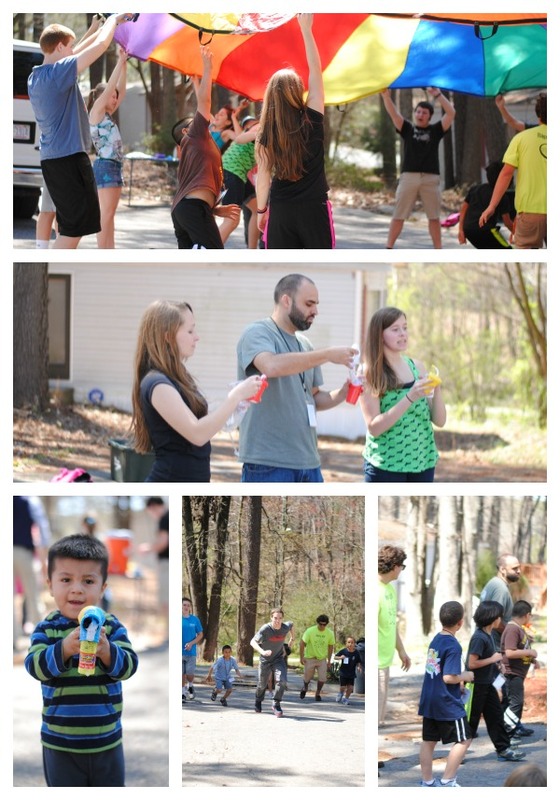 We played games, made crafts, ate together and shared Jesus. 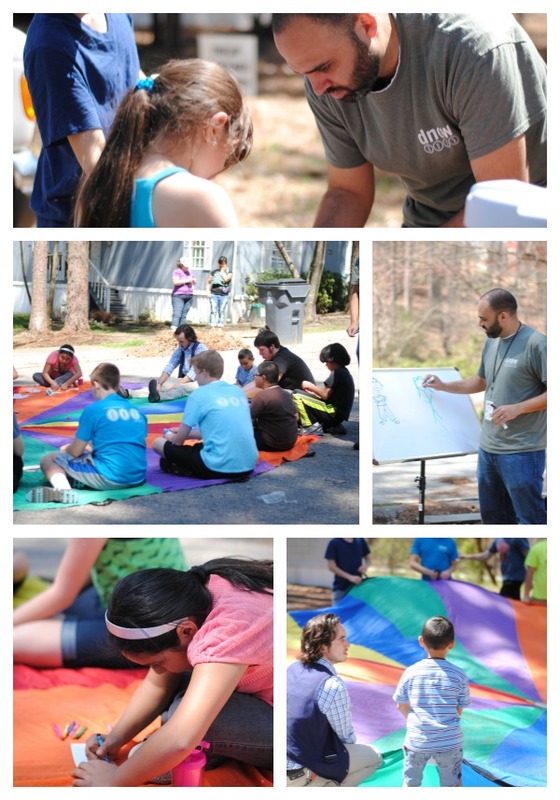 Justin and I were humbled and excited to see teenagers give up their spring break to serve their community. I know sometimes teens get a bad rap and older generations worry about the future generations. There are some awesome, loving, giving and generous teenagers being raised up. I'm so excited to see what God does in their future. 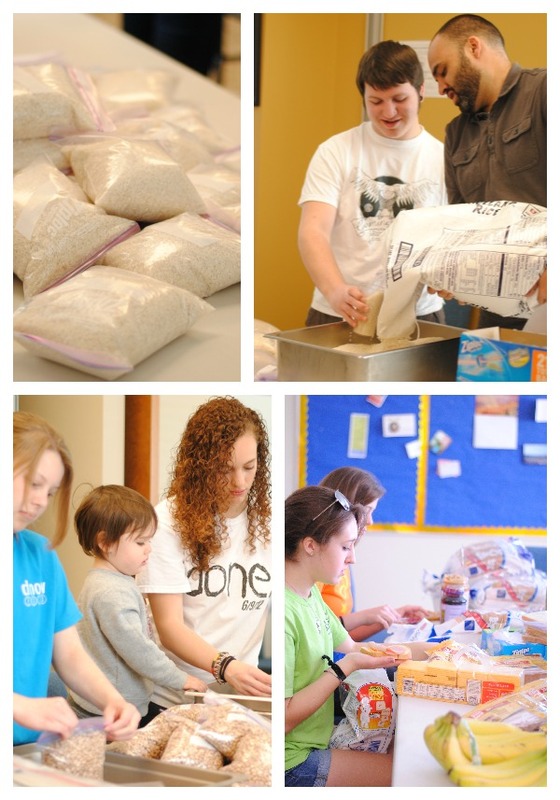 Next, we took some time to buy a whole lot of rice and beans and then packaged them up for families in crisis. We have a great Crisis Ministry here in our town that does a lot for our community and we were glad to be able to help a little. I love that Silas was able to come and help too for this. He loves our students and they are a great example for him. He couldn't wait to jump in and help package food. During the week we also were able to take a group of kids from our community (that our church is ministering to) to the Marbles Kids Museum. Its a really hands-on, interactive and fun museum. Not only do we have a great group of teenagers who took the kids but we have a great group of adults who sponsored these kids for the day. Our adult classes at church gave a special offering so we were able to do this. It was such a blessing all around. 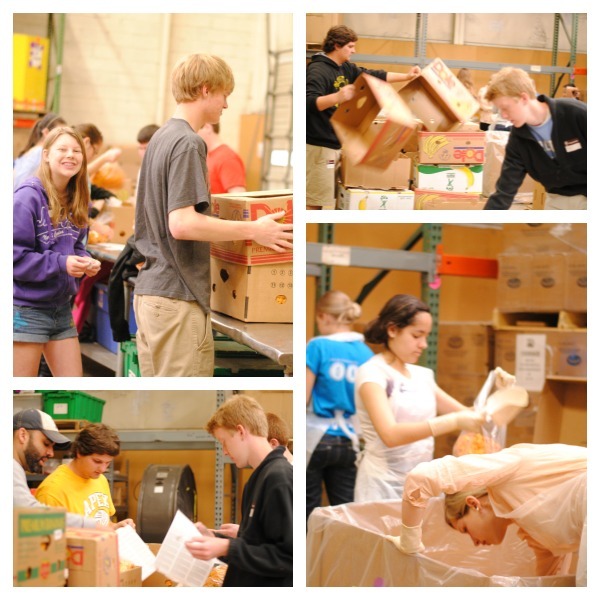 Our last day we spent volunteering at our city's food bank. Justin and I have worked at food banks all over the country on various mission trips but have never been to our own. We loved being there and I have to brag - our city has a really organized and well run food bank who feeds thousands of people all over our state. We packaged, boxed and organized food for them that day. We all now know the difference between a yam & sweet potato...I think. Thanks for letting me share a little bit about our students. We are so thankful for what we do and to be able to serve alongside of them. One: Excited to have you as a contributor to the series! YAY! Have a fantastic end to your week. HUGS! It’s always good to make your children’s involved in entertainment activities and social works because it makes them happy and enjoyable. This is really fantastic work.